full employment of the Nigerian Customs, working at Idi-Iroko border. 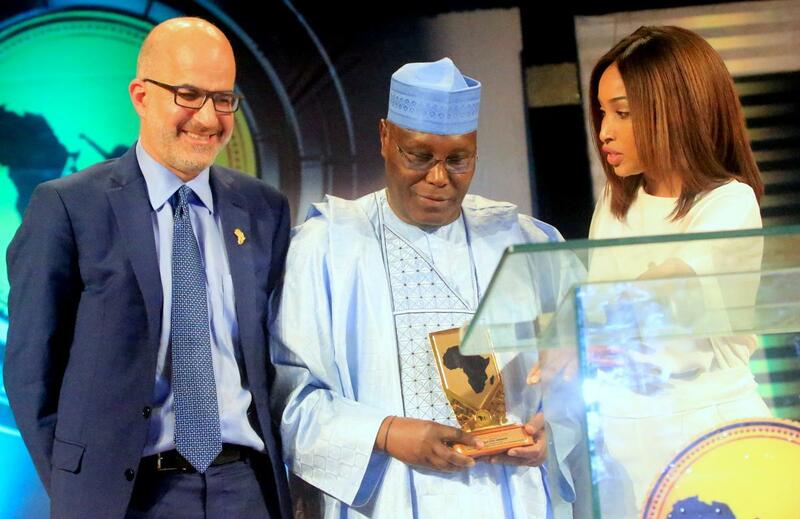 The former Vice President made the fresh revelation after receiving the Honourary Achiever Award, at the Africa’s Youth Entrepreneurs Conference and Award titled “A Stand With The Giants”, at InterContinental Hotel in Lagos on Thursday night. “I came to Lagos on June 29, 1969 and after my two years training (with the Nigeria Customs Service); I was posted to the border station of Idi-Iroko. At that time, the Badagry Road had not been constructed and the only means of transportation to the rest of the West African corridor was through the Idi-Iroko border to what used to be called Dahomey and what is now known as Benin Republic. “On getting to Idi-Iroko, my first posting, I was not married and what I discovered was that the most promising business was transportation. Many pickup vans were transporting women traders from Ajase (Port Novo) to Lagos every morning, and every evening from Lagos back to Port Novo. “So I asked myself, how I can seize the opportunity of this moving business. I came over to Lagos and in those days SCOA were the sole distributors of Peugeot, so I went to SCOA and I signed a hire-purchase agreement and bought four of those pickups and gave them to four different drivers and every day they will bring their returns to me and at the end of the month, I will go to SCOA and pay them. The revelation was not contained in his 328 page biography: Atiku:The Story of Atiku Abubakar, written by the late Onukaba Adinoyi-Ojo and published in 2007. The book detailed Atiku’s two year life at the border post, his chance meeting with Titi, the woman who later became his first wife and the challenges faced with smugglers bringing goods from Benin Republic. Atiku noted that the country’s education system in the early 1960s provided the Nigerian youths the opportunities to make diverse career choice. He pointed out that the products of this educational system don’t know how to do anything else other than to seek for jobs, adding that they cannot self-employ themselves. “So, what I am trying to say is that my Nigeria is possible and your own Nigeria is possible”, he said. The former Vice President urged the youth to take advantage of the rebound in railway infrastructure that was built by the last administration to start a business initiative of transportation of goods across the country and reduce the reliance on heavy duty trucks to convey those goods. He paid glowing tributes to music art youngster, Wizkid for his besting some of the greatest in the industry to clinch the Best International Act at the MOBO awards.